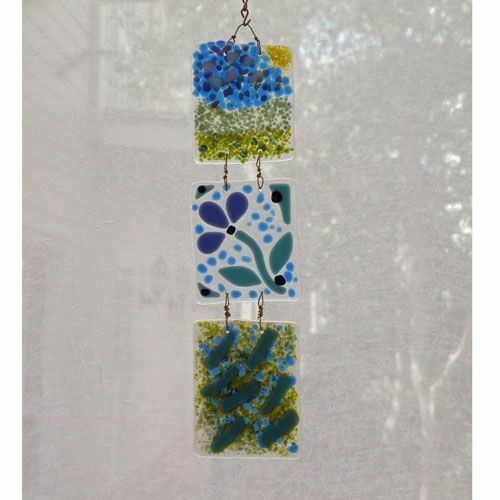 Three fused glass panels are connected to evoke a spring meadow. Each panel measures approximately 3" x 3.5" and are linked by wire. This particular piece has been sold, but special orders are welcome. Price will depend upon size and design.